Herbert Albin was German born and a trained artist and violinist. 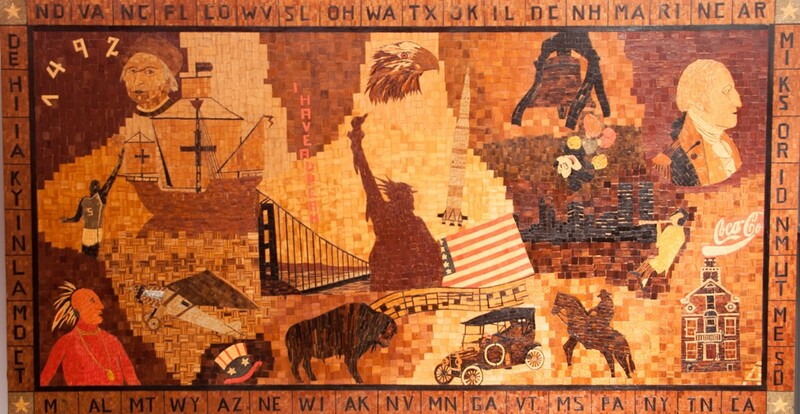 His career followed the musical path becoming the concertmaster with the Symphony Orchestras of Charleston, S.C. and Augusta, GA. After his retirement Albin began making inlaid wood artworks he called Wood Mosaics, also known as marquetry. 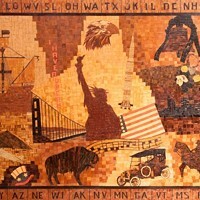 For two decades he used pieces of wood he carefully colored by design and cut to fit pictorial images he envisioned. He also made beautiful furniture that would equal fine French pieces with the inlaid wood. From 1970s to early 2000s he exhibited his artworks and furniture. Roots Up Gallery acquired his massive collection and is very excited to share these incredible pieces.